Hello and welcome to my blog. Today I have a super cute card to show you. 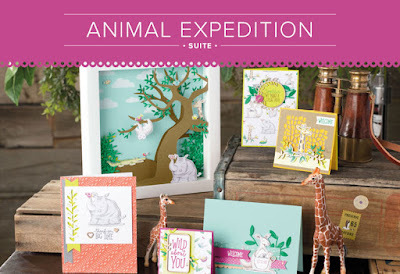 It uses the amazing Animal Expedition Product Suite. If you have small children or even love animals yourself, this product suite is amazing. 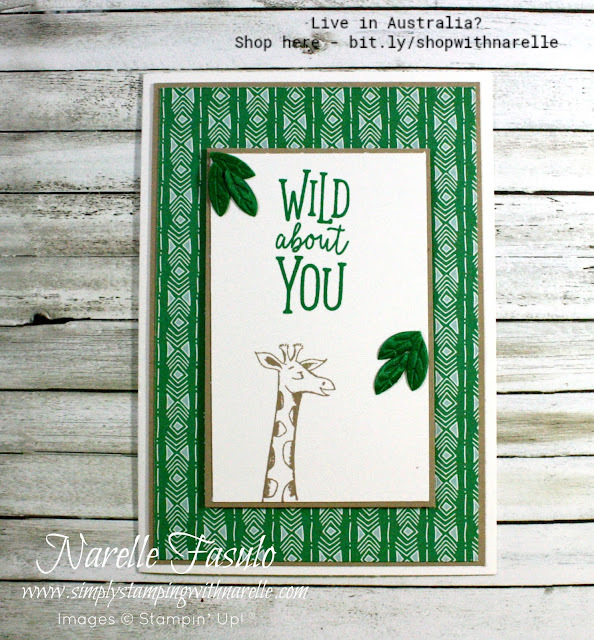 It not only has the stamp set of the cutest animals, but it also has the most amazing Designer Series Paper. I have used these for todays card. 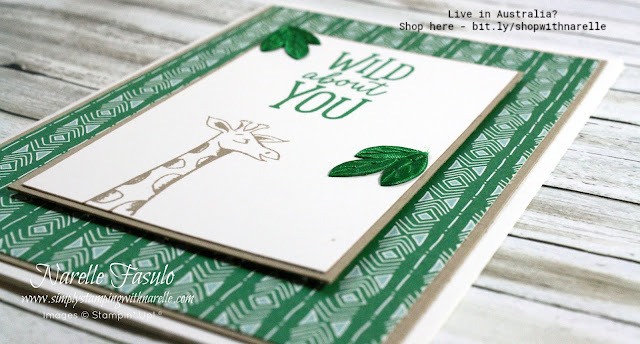 I love the simplicity of this card. The designer series paper definitely makes it pop. I just love that paper. And did you notice the leaves. I have snipped the leaves off the Leaf ribbon and used them as embellishments. I hope you have enjoyed this card. I certainly enjoyed making it. If you would like to purchase any of the products I used on this project, please see the Product List below.